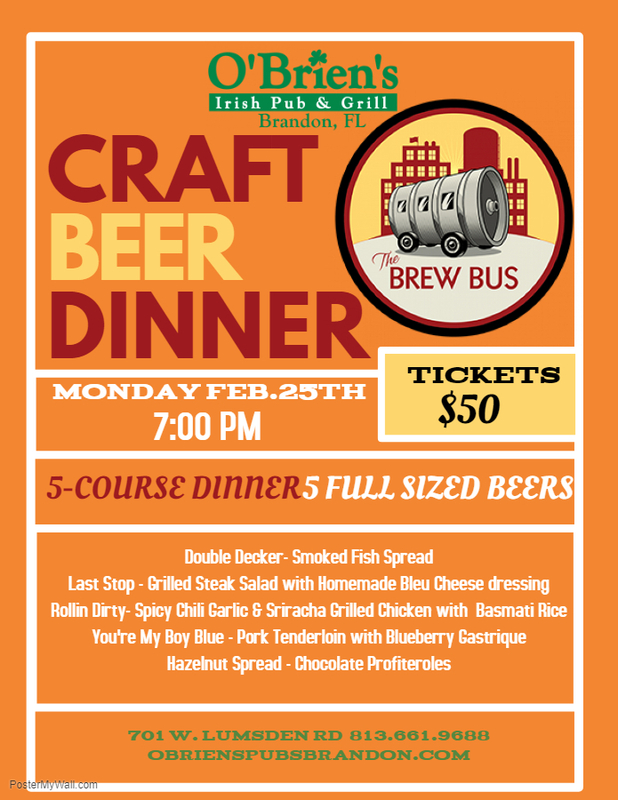 Join us on Monday, February 25th for our Craft Beer Dinner, hosted by Brew Bus Brewing. Enjoy 5 delectable dishes, perfectly paired with 5 full sized beers. Tickets are $50 in advance, don’t wait- reserve your seat today!